After a long battle with leukemia, Craig Sager passed away today at the age of 65. I don’t know if there are enough words that I can write that would do this man justice. Craig Sager was a legend in every sense of the word. Every time he came on the screen, you could not help but crack a smile. His presence was so graceful and was a true professional on the sidelines. I haven’t even mentioned his wardrobe, which NO ONE can pull off or even try to imitate. He dripped swag, but he backed it up. I mean the man got Greg Popovich to crack a smile, which is basically like trying to walk on water. 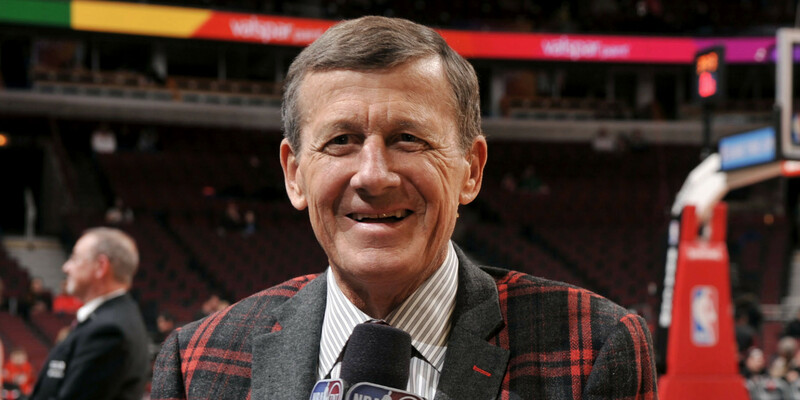 When Sager was diagnosed with leukemia, he did not feel bad for himself. He fought that dreadful disease and made it back to the court. No excuses. Sager was a tough SOB. I come home from a long day of work and I’m too lazy to go to the gym. Sager was undergoing chemo treatments daily and still working the sidelines of NBA games every week. It puts everything into perspective and shows how one man can have such a powerful influence on the world. I’m always interested when someone dies to see the reaction on social media. I have not seen one negative thing about Sager. Not one. Everyone loved him and everyone will for sure miss him. I leave you with his ESPYs speech. I suggest getting a few tissues because it’s a tearjerker. Sager was an inspiration and his spirit will live on forever. As the Knicks play on TNT tonight, it will be sad not seeing Sager on the sidelines. My thoughts and prayers go out to his wife and family. Craig Sager told us to Never Give Up. He didn’t give up on his life so neither should we.